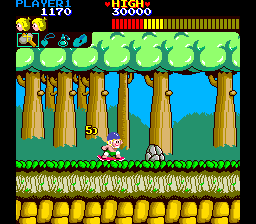 16-BIT Shock was set up for a number of reasons, first and foremost to develop quality retro-style games with a sense of purity. This in itself, is a soft form of revolt against mainstream gaming. You may argue that, there are plenty of retro-style games developed in the indie scene these days. Yes, there definitely are. And I happen to be 100% supportive of this. Yet, it still is a revolutionary act to develop these types of games. The mass market is in no way, shape or form encouraging or even supportive of anything that is purely retro. This is a good thing. A very, very good thing! If the mass market was truly backing us, not only would we be incredibly uncool. We would be completely irrelevant. For one, we wouldn’t be able to stick out like a sore thumb. And sticking out is what we should be doing – 24/7! There really are no benefits to pandering to mainstream tastes – none! I don’t develop games for someone’s grandpa or for someone’s kid. I don’t develop games that you can play with your wife or girlfriend. I don’t develop games that you can play with your family. I don’t develop casual games. I don’t develop social games. I don’t develop multiplayer games. I develop games strictly for the enthusiast. Particularly the retro game enthusiast. The reason is simple. I’m an enthusiast myself and just can’t relate with any of the other types of gaming niches. Other people may enjoy them and that’s perfectly fine. I just won’t do them. I may have come across a bit condescending in this article. To a certain extent, that’s true. Game enthusiasts like myself, who have been gaming for over 3 decades do have a stake in this. We’ve been supporting this medium for a considerable amount of time, and our opinion counts. 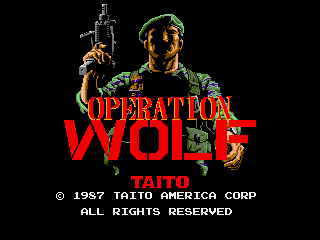 Back in the 80’s, popular, mainstream games were: Ghosts ‘n Goblins, Wonder Boy, Green Beret, 1942, Bubble Bobble, Afterburner, Out Run, Gradius, Arkanoid, Operation Wolf, Combat School, Strider and Twin Cobra. What they share in common is that they were all well-made, highly entertaining games and far superior to their modern counterparts. For the most part, what passes for mainstream and popular nowadays, is a terrible joke. The fact, that games like Angry Birds and that other backroom abortion – Flappy Bird, are a massive success – is telling. No, these are not good games. I don’t want to use expletives, but I will say one thing – these are games fit only for the latrine. And that’s what I’m effectively revolting against. And I trust this applies to any self-respecting game creator reading this. Fight the establishment! Make good games!